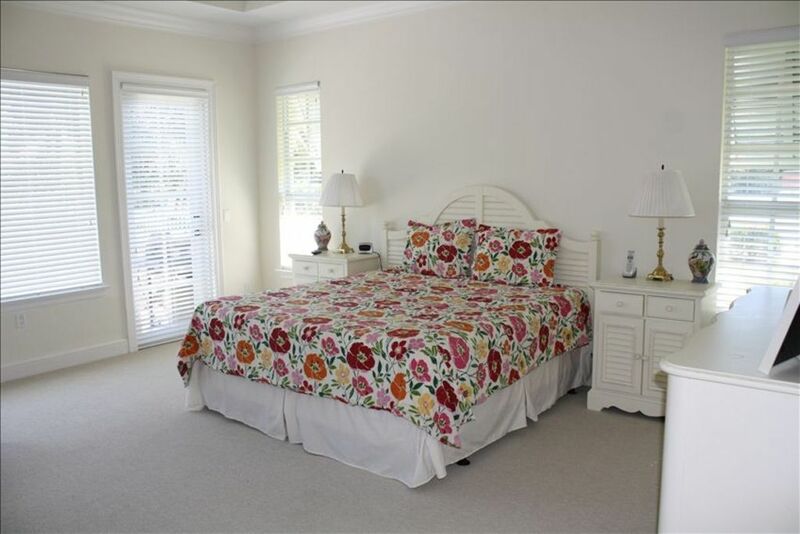 New Home in Gated Community on Vero Beach Island. This Home is Designer Decorated with 14 foot ceilings and a Gourmet Kitchen with a Gas Range and high end appliances. This house is Perfect for Families with Children. Private Access to the Beach is Just Steps Away. The beach is very quiet and Public Access is Miles Away. This House Sits on a 1/2 Acre with a Pool, Jacuzzi and a Child Proof Fence. The Large Lanai is a Wonderful Place to Relax and Enjoy the Day. We are a young active family of 5 . We love Vero Beach as it is such a beautiful place with so much to offer. We spend every Christmas and many other times there when the house is available. Vero is truly a wonderful place with so much to offer. We chose Vero Beach because it is such a pretty town that is not overun with people and traffic. There are excellent restaurants and the down town area has graet shops, fun nightlife and much more. We visited many FL towns and found Vero to be the right fit. Our home is uniquely set up for two families and has all the comforts of a luxury home. The house is not cluttered with too much stuff yet offers all of the needed amentities and much more. The private access to the beach is a real bonus as the beach is spectacular. Florida tax is 11%. The cleaning fee is $200.